Video has become a necessary part of the content marketing mix for a few reasons. First, we have the fact that people just enjoy videos more than text in many circumstances. Human beings are visual creatures, and we tend to remember what we see more than what we read. Second, some experts claim the average attention span of adults is shrinking. While the myth of the 8-second attention span has mainly been busted, even the most dedicated reader gets bored with too much text. Content marketers have known this for a long time, which is why you often see text-based content broken up with visual content. Third, there are the metrics themselves. More than 500 million hours of video content is viewed every single day on YouTube, which means we are seeing more content in a single month than television networks in the United States have aired in 30 years. Wow! In 2006, Google bought YouTube. It might have been the biggest outside investment they ever made — and the most profitable. All the way back in 2014, it was estimated that the site could be worth as much as $40 billion per year. That figure is not exact, but I’m sure it’s grown significantly. As such, Google has done what you would expect: they give preference to search results that include YouTube videos. Videos hosted on their site gain featured snippets — a goldmine for those who want to get seen. When we at Internet Marketing Ninjas did our own study on the subject, we found that more than 20% of top results were YouTube videos. I’m sure you’ve heard this phrase a lot: “Have you checked YouTube?” The only more common search related phrase I hear is, “Have you Google’d it?” Not surprising, considering the video platform is the second largest search engine on the web, and it isn’t a search engine to begin with! We are living in an age when failing to produce high quality and consistent video content could have a marked negative impact on your brand. The best time to have gotten on board is five years ago. The next best time is right now. But should it be search engine optimized? Of course! In fact, optimizing videos is easy because the process is almost identical to how you would optimize content for any other medium. YouTube videos rank in general Google search results. 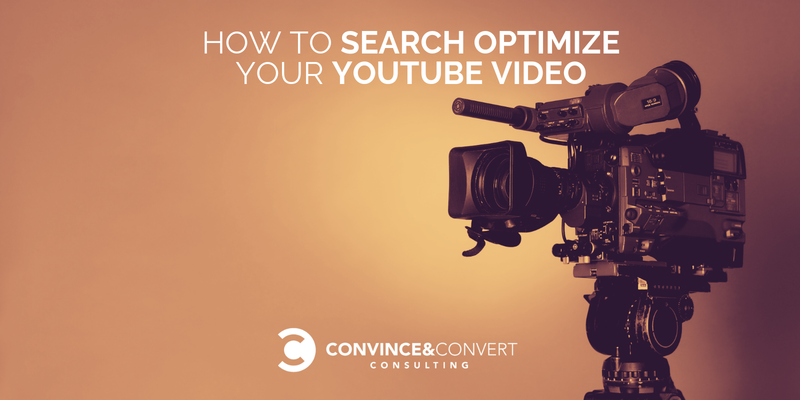 YouTube videos rank in YouTube search results, as well as show up in related and suggested videos. Below are tips to generate visibility from both Google and YouTube search results. This is especially useful for video discovery on YouTube itself as the platform is pretty smart at understanding how much your audience interacts with and likes your videos. Create videos people want to watch. In the past, it was enough to just make a video version of what you were already creating, and your user base would eat it up. But if you look at the popular channels on YouTube, they have a certain formula. You need to make sure you are following a similar structure and keeping your quality high, consistent and watchable. Your topics should be those about which your audience is going to be passionate. Most importantly, you have to present it in a way that keeps their interest. Just talking into a camera isn’t going to cut it, unless you are really charismatic. Come up with your own style and format. Unique ideas always win. For example, YouTuber Daisy Brown created an entire eerie sub-story using subliminal messages in the captions. They were essentially easter eggs that only those with captions turned on can see. Then, they alerted other users about it in the comments, and it made for a richer story while bringing in second or third watches by the same users who missed things the first time. Plan ahead. Whether it is a series or single-shot videos on different topics, you need to really plan. Have topics set for certain times, with a shooting schedule. Outline the video itself, the script and how it will be presented. Create a video editorial calendar and stick to it. Focus on what works. This is going to be an ever-evolving process with some hits and misses along the way. Watch what works and what doesn’t and listen to your audience. If something isn’t appealing to most of them, you aren’t going to convince them with more of the same. Come up with eye-catching branding. 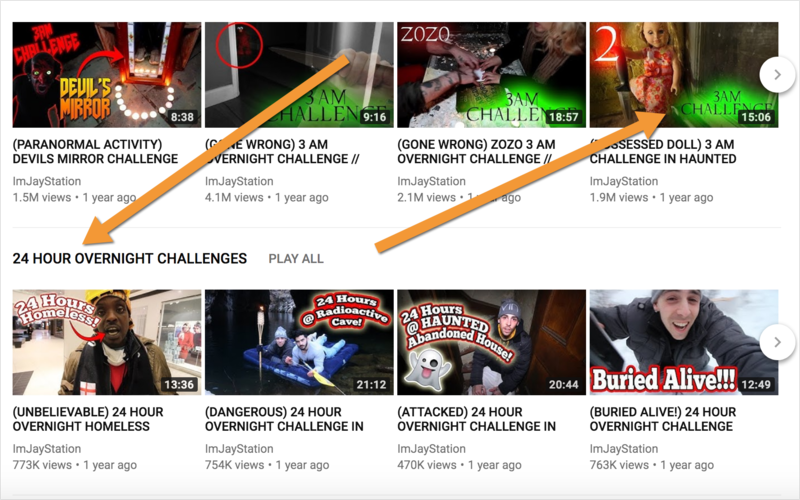 YouTuber ImJayStation regularly gets millions of views on every one of his videos. His most popular video has 9.5 million views after one year. How does he do it? By selling it, even though almost every video is the same type of content. He uses eye-catching thumbnails with bright red words in the corner. Finally, use all your available marketing channels to promote your video content and help its discovery. This includes both using your social media accounts and displaying your videos on your site (it’s a good idea to use themes and plugins to embed your YouTube videos on your blog). While Google has become much smarter, it still relies on keywords a lot. For low-competitive queries, ranking on youtube.com is a breeze! Yep, the first step is going to be the same one that you would use for any other content. Having a spreadsheet of high ranking keywords for your own brand and industry is a critical part of the process. 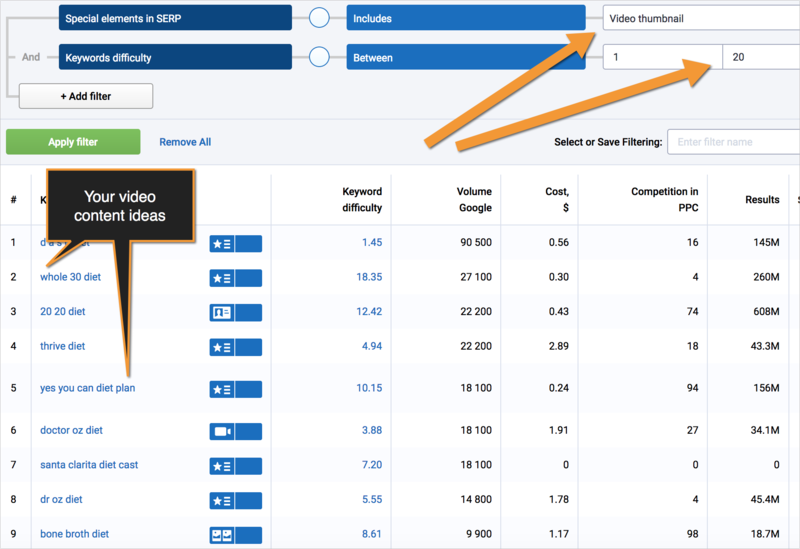 I personally like Serpstat for this because they have a video specific feature that shows whether there currently are videos ranking for each specific query. 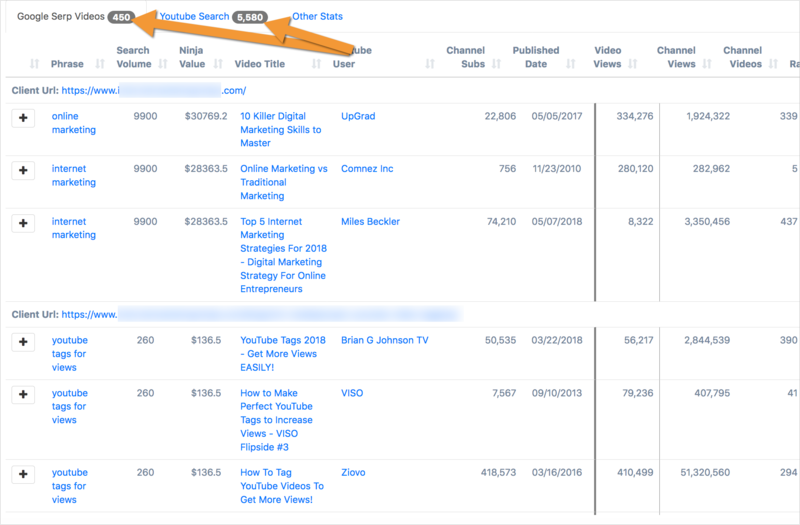 You easily can sort and filter keywords that still fit in your range, so you aren’t putting your videos into a pool already overflowing with big names or brands. 61-100 => very difficult to rank in top 10. Since we mostly are about dominating low-competitive queries here, we are focusing on keyword difficulty between 1 and 2. Now, the two first steps are the most crucial and challenging ones. You likely are to find yourself spending an insane amount of time coming up with unique ideas and keywords, putting up videos and styling/editing them to perfection. Uploading them to YouTube is the easiest step: Don’t overlook the basics though. YouTube has its own language, look and formula. If you optimize based on those factors you see on the most popular channels, you will be able to build a strong viewer base and get your brand discovered through this powerful platform. Ann Smarty is the Brand and Community manager at InternetMarketingNinjas.com as well as the founder of MyBlogU.com. Ann has been into internet marketing for 10 years. She is the former Editor-in-Chief of Search Engine Journal and contributor to prominent search and social blogs, including Small Biz Trends and Mashable. Ann is also a frequent speaker at Pubcon and the host of regular Twitter chats #vcbuzz and #myblogu.